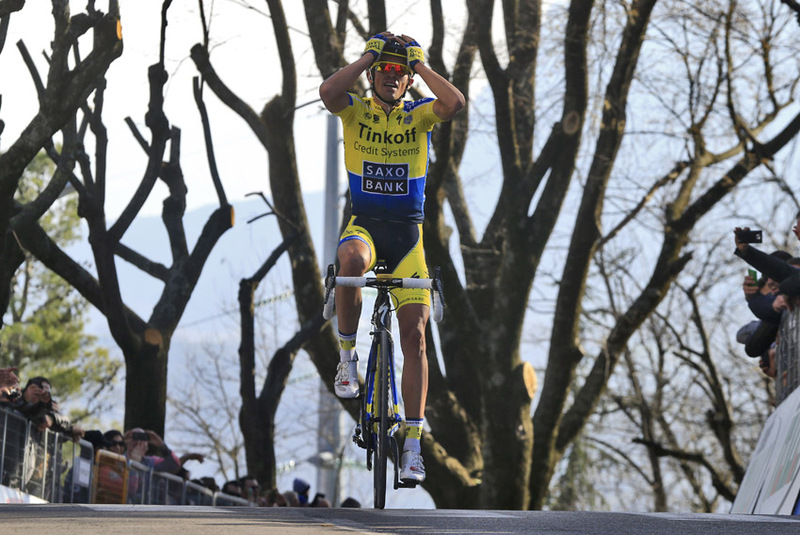 Alberto Contador (Tinkoff-Saxo) won his second consecutive stage at Tirreno-Adriatico on Sunday, and moved into the overall lead in the process by a huge two-minute margin ahead of Nairo Quintana (Movistar). It was a domineering display from the Spaniard, who for the first time in a while looked like the rider who used to win grand tours prolifically. The blue jersey Michal Kwiatkowski blew early on, having suffered on the penultimate Passo Lanciano climb, which he summited around three minutes behind Contador. 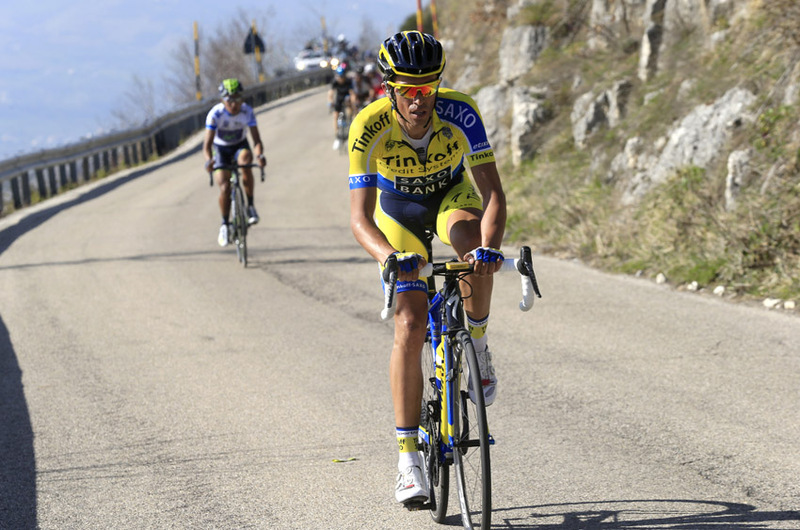 Contador made his move on the Passo Lanciano, where he attacked explosively to drop the rest of the field. Quintana looked briefly as though he would join him, but soon faded away as Contador maintained a ruthless pace. By the foot of the final climb – the eye-wateringly steep Muro di Guardiagrele – Contador had caught the remains of the original breakaway, Ben King (Garmin-Sharp), Simon Geschke (Giant-Shimano), David De La Cruz (NetApp-Endura) and Adam Hanson (Lotto-Belisol) – who did a sterling job staying with him on the climb – and had two minutes on the chasing group behind featuring Quintana. King surprisingly attacked at the foot of this climb, and Geschke nearly caught up when Contador accelerated further up, however victory came for ‘El Pistorelo’, and he arrived home alone with considerable distance between himself and second place Geschke. The race lost one of its main contenders earlier on when Richie Porte (Team Sky) pulled out with illness. But with Quintana’s group finishing a whole minute and a half down, by the end of the day there seems to be no contenders left capable of catching up with Contador now.